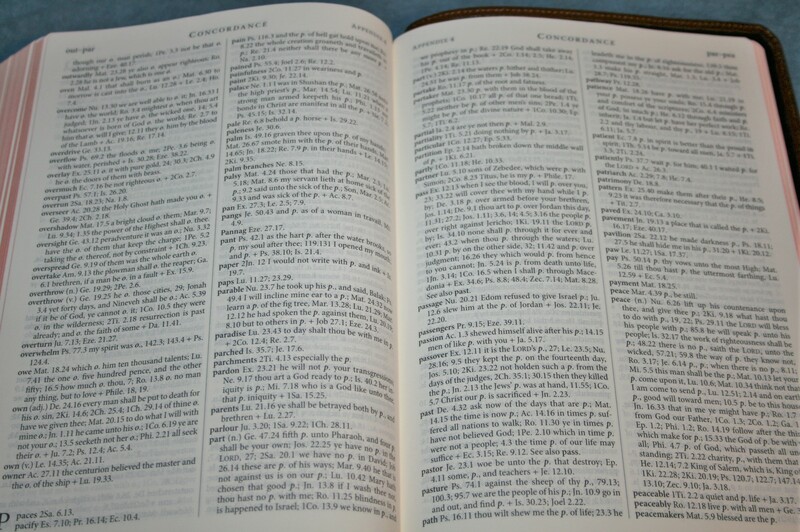 My favorite KJV reference Bible is the Westminster. 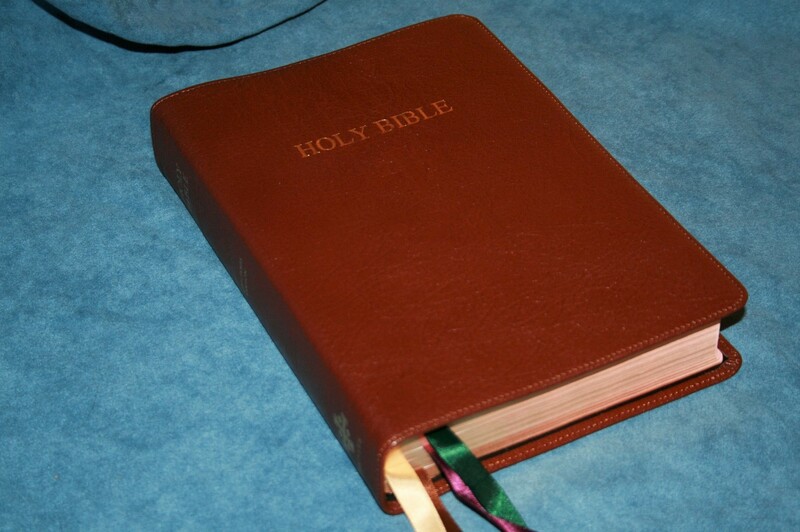 The TBS edition of the Westminster is one of the only two Bibles that my wife claimed before I could see them. She carries the TBS edition in calf skin and I carry both the TBS in hard cover and the Schuyler edition in goatskin. Both are outstanding Bibles. I’ve written detailed reviews of each edition. Here are some of the reasons I like it and a quick look at how I use it. The references don’t just follow specific words. They also follow concepts. Every OT quote is referenced. 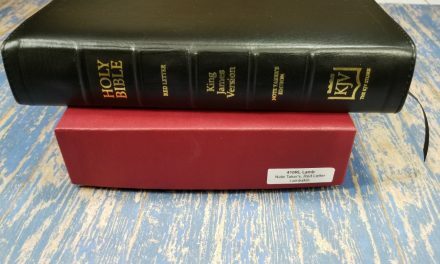 Many words in the KJV have either gone out of use or changed meaning over the years. 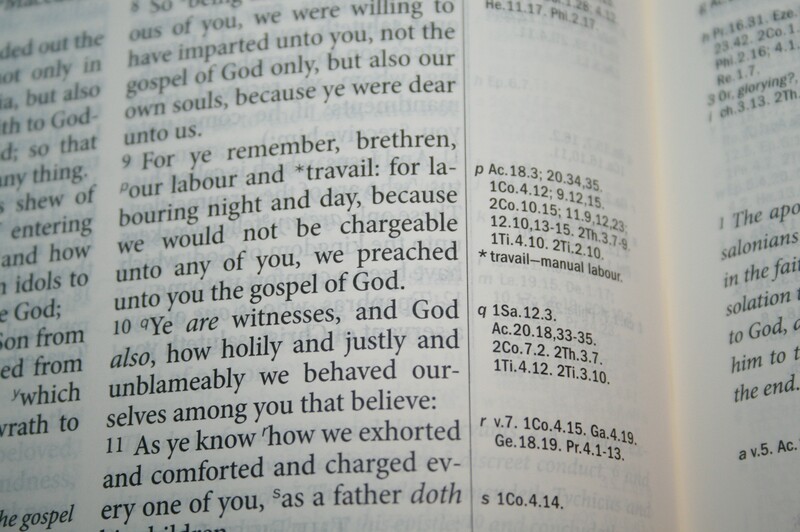 Several Bibles have glossaries in the back (Thompson Chain Reference, Windsor, and Concord). If it’s a word I don’t know then I’ll look it up. The problem is when a word has changed meaning I don’t know that I don’t know what it means. For example, describe means to mark out. De-scribe, as in un-mark. Another example is the word prevent. I know what prevent means, so why would I bother to look in a glossary? Well, in the KJV it actually doesn’t mean what I thought it meant. It means to go before. It’s a pre-event. The reason I know these words is the Westminster places an asterisks on them and then gives the meaning in the margin next to the verse. This helps in another way too… I don’t have to turn to the back to look them up because they’re right there on the page where I need them. This is a great help for preaching and teaching. When I’m reading a verse I can look in the margin if I feel the need to explain a word. I don’t need all of the notes, for example it has Spirit for Ghost, but there are a lot that I never knew to look up because I thought I knew what the word meant. The concordance has a lot of entries. For me the concordance is difficult to use. 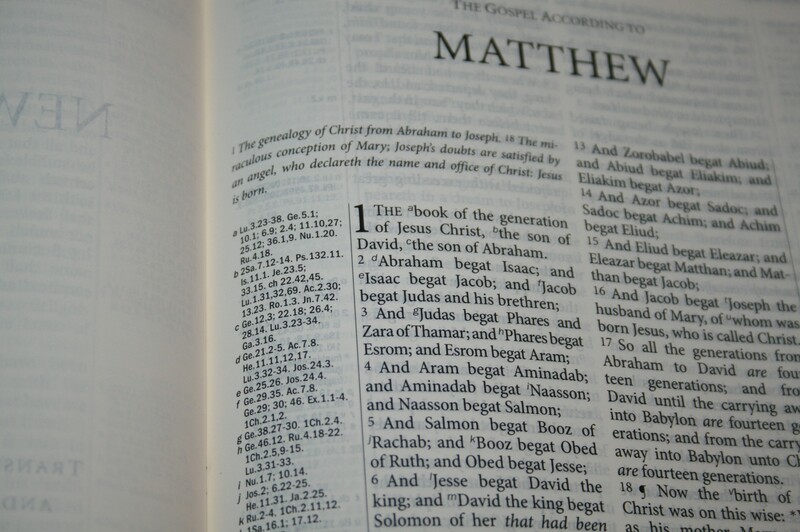 The concordance has a unique layout to the text when compared to most concordances. Instead on placing each verse on a new line, they’re combined together like paragraphs. That’s not the hard part. There are references before and after the verses. For me it’s difficult to figure out which reference goes with which portion of text. This concordance is actually the one from the Cambridge Concord. TBS improved on it and shared their improvements with Cambridge (Cambridge and TBS do a lot to help each other. I love that synergy between publishers). There’re plenty enough entries and references to help in study. It includes the M’Cheyne 2-year reading plan. We use this as a 1-year plan. This takes us through the OT once, and the NT, Psa, and Prov twice. There are four of us and it has 4 readings per day, so this works out perfectly for my family. At 8.5 x 6 x 1.5, the size of the Westminster is in my sweet-spot for carry and holding. I love the sharpness of the font. I would like to see a little bolder font. I also like that it’s clean. There are no pronunciation marks within the text. If you want to see how to pronounce a name you can go to the back and see the name list. The updated words in the margins help a lot to improve understanding. The goatskin can be a little difficult to hold when I have a lap and arm full of cats. I’m also worried they’re going to do something stupid and ruin my Schuyler. For this very reason (and because I didn’t want to write in the Schuyler) I bought the hard cover edition. It lays open in one hand with no trouble at all. 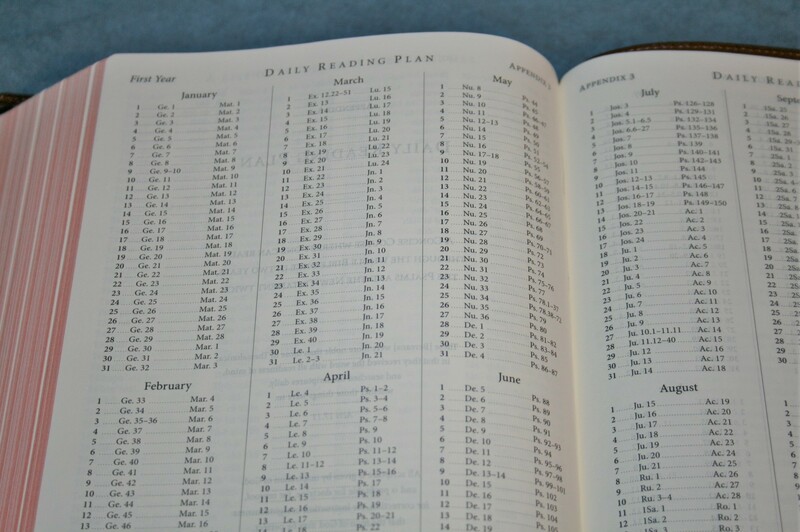 The size of this Bible is perfect for any pulpit while still giving you enough room for notes. I find the font large enough to read without having to hold it close or bend down to get close to the page. Larger fonts are easier for me though. I can’t see the footnotes from that distance. The column width isn’t too wide. I don’t have any issues figuring out which line to read next. With 200,000 cross references, the Westminster is excellent for study. I rarely need any other references. The updated words and concordance help too. 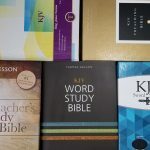 It’s great for study, sermon prep, and class prep. I met Paul Roland, the CEO of Trinitarian Bible Society, in Orlando Florida at the International Christian Retail Show. I could have talked to him all day. We have the same tastes in Bibles and I love his passion for the printed Word. He’s a very interesting and kind man and I hope to see him again in Cincinnati for 2016’s show. In our discussion about the Westminster he asked how I would improve it. That’s a hard question to answer. Any change would change its physics. I love the size and weight. A large font would be nice, but I also want this font. More tools, such as a topical index, would be nice but I also want this same thickness. The only change that would help me would be a bolder font, but that would change the opacity of the paper. These tools, size, and print make the Westminster my favorite reference KJV. I love that there are choices in covers – hard cover, calf skin, and goatskin. These three cover every price range. It’s easy to recommend the Westminster for carry, reading, study, preaching, and teaching. 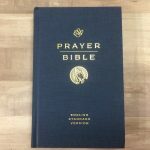 Schuyler Bibles provided this Bible for review for free. I was not required to give a positive review. 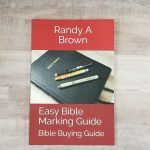 It is a great Bible, Randy. I’d definitely like a larger bolder font–perhaps they’d consider releasing a “large print” version? Also, it would have been ideal as a single column Bible but I know TBS is catering to a very traditional market so that may not have worked out. I love the fact that TBS also offers fine quality hardcovers and the reading plan in the back! If you had to choose between the TBS Westminster or the Cambridge Clarion, which would you choose? I can only afford one. It will be for reading and studying not preaching. Thank you for your help. The Westminster has better paper, references, and I like the words from the glossary in the margins instead of the back. 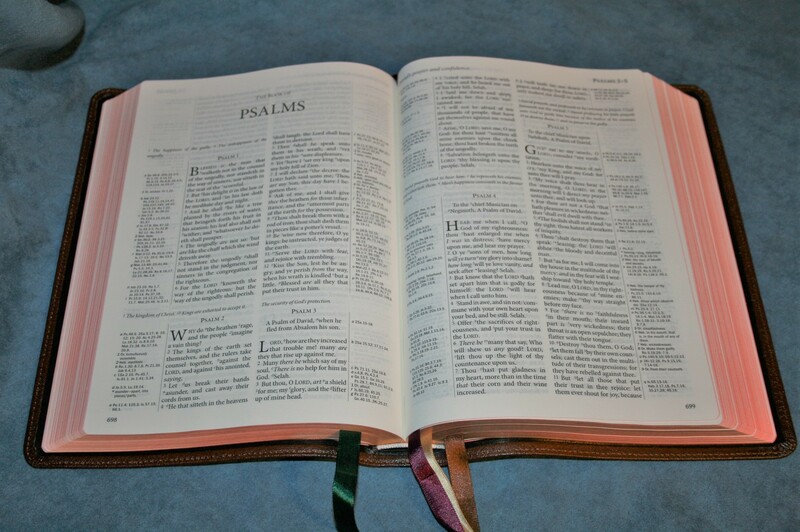 It also has a larger footprint and the verse by verse layout is more for study than reading. The font size is about the same. The paper makes the text look a little cleaner. I have seen page-curl in the cold months, but it’s minor. The Clarion’s layout is made for reading. It fixes all of the broken sentences and its poetic settings are the best. I love the overall footprint. I use the references in the margins to find the verses quickly. The Reader’s Companion has some really good definitions but it also places doubt on who wrote some of the biblical books. The paper is thinner and has more show-through. The text is line-matched, so that helps. The thin paper gets a lot more page-curl in the cold months. I read and carry the Clarion more but I study from the Westminster more. If you like verse by verse for reading and you don’t need a smaller footprint I would recommend the Westminster. If reading is your primary goal I would recommend the Clarion. Thank you so much for your reply. I wasn’t expecting that much information. I went with the Westminster because of the definitions in the margins (and the price). Thank you again.